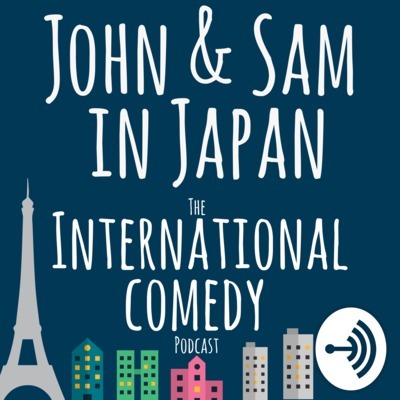 John and Sam in Japan: The International Comedy Podcast brings you live stand up comedy, musical comedy, the news you may have missed from Japan and around the world, interviews with people from all walks of life, and much, much more. Comedians from all corners of the globe will showcase their stand up sets, improv comedy recorded live from around the world will set the podcast alight, and special guests will speak passionately about their areas of expertise. Stand up comedy with Danielle Arce (USA), musical comedy by Jay Foreman (UK). Plus topical news where John and Sam discuss the latest technology in bananas, unusual happenings at funerals in China, and the reasons behind them. Edgar Frank makes his podcast debut in Culture Corner explaining the history of the word 'beard', but not it's most common meaning, but probably not the other one you are thinking either. You'll also hear some answers to the Burning Question: What did your parent let (make) you do, that you'd never let your own kids do. All this introduced by John McBride and Sam O'Toole. They have been comedians for years, friends for longer, and humans for longer than that. You'd be mad to miss it. Check us out at www.johnandsaminjapan.com or find us on Facebook or Twitter. And of course, Anchor.fm. A clip from the news section of John and Sam in Japan: The International Comedy Podcast. John and Sam discuss a Romeo who is willing to go the extra mile to win his love. When John and Sam interviewed Mike Staffa of the Pirates of Tokyo Bay he gave them a mini audition to see if John or Sam could make it in the improv world. They played a word game where you have to think on your feet. Let's see how they get on... Full episodes, including the full interview with Mike, live stand up comedy, songs, and much more coming at the end of March. Stay tuned.